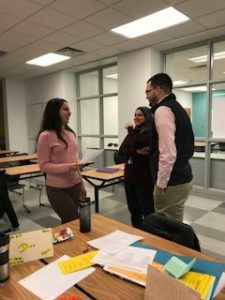 EL & Compensatory Education Department | New Teachers get “SIOP”ized! 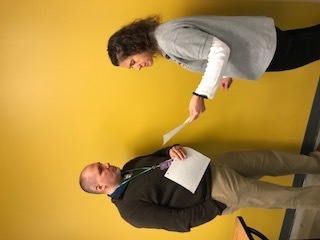 Several of our new teachers participated in Day #2 of the Sheltered Instruction Observation Protocol (SIOP) training at Woodworth Middle School last week. 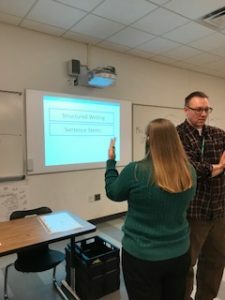 They applied instructional strategies that align with the Common Core and other content standards to deliver lessons that address the academic and linguistic needs of our English learners. 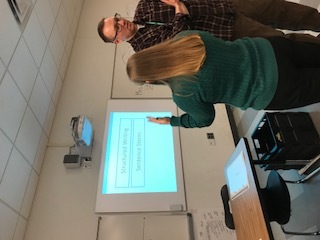 Our emphasis this session was on building background and oral language development using structured reading and writing activities. 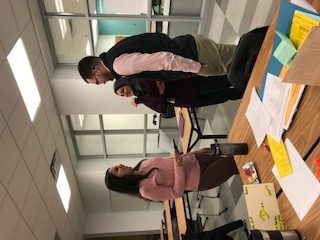 Participants also worked in small groups to collaborate on the most effective way to implement these best practices in their individual classrooms. 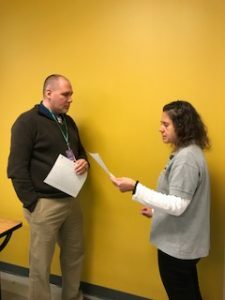 Yeaaa, SIOP lives and thrives! Great vision, everyone!